Interested in working in warehousing or distribution? We opened our first modern distribution centre in Cumbernauld, Scotland in 1978. Since then we have expanded our operation and have opened another three distribution centres in Warrington, Solihull and Bristol. Our four depots serve our 300 branches and are home to 800 employees working 24 hours a day, 363 days a year. 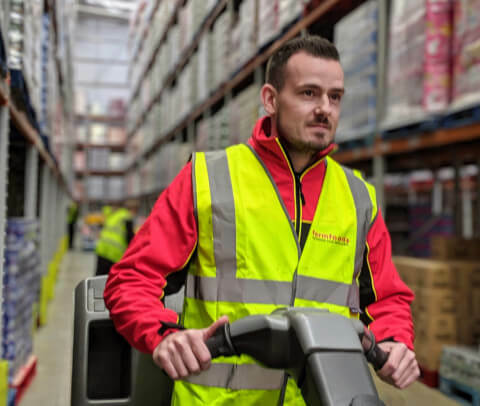 At Farmfoods, we don’t outsource our distribution operations and the two main roles we recruit for are Warehouse Operatives and Category CE Drivers. Picking is the foundation of the warehouse operation and all of our Warehouse Operatives start their careers as pickers. After spending time picking there are opportunities to move into other warehouse roles such as working in the operations office or becoming a reach truck driver. It’s a physically demanding role and everyone works hard to support their team and get the job done. We recruit for full and part time Warehouse Operative positions over three shift patterns. Our drivers are the face of the distribution operation, they are on the roads driving Farmfoods vehicles and are viewed by our customers and potential customers. They are friendly and hard working people who aren't afraid to get their hands dirty. 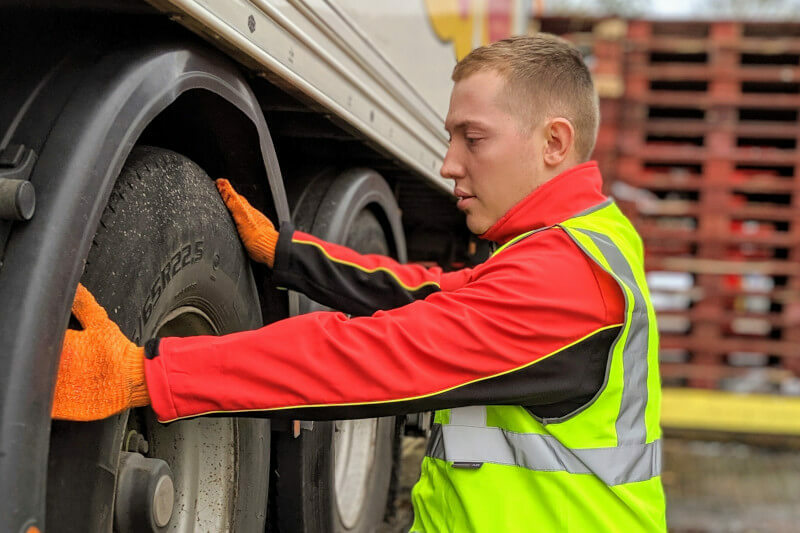 At Farmfoods, our drivers are responsible for not only delivering the loads safely and promptly to our branches, but also for unloading the vehicle when they arrive. Efficiency is key to our operation, and our drivers are trained to drive our vehicles as efficiently as possible. Our Warehouse and Transport Managers are pivotal to the success of our distribution operation. 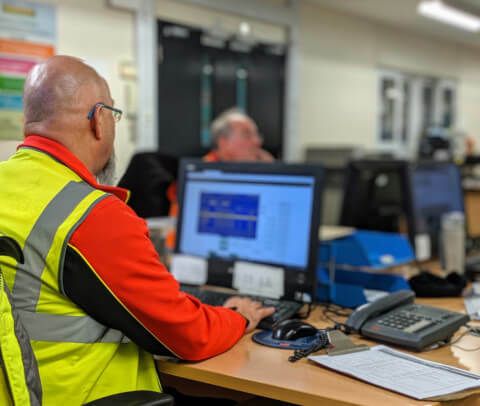 They are responsible for the day to day running of their respective departments controlling all costs, health and safety, team development and quality of service to our branches and ultimately, our customers. We always aim to fill any management positions from within our current team. At Farmfoods, we don’t outsource our distribution operations; we all work for the same team and work by the same values. The two main roles we recruit for in distribution are Warehouse Operatives and Category CE Drivers. There are no qualifications required to become a Warehouse Operative. As a driver, we require you to have a Category CE driving licence. 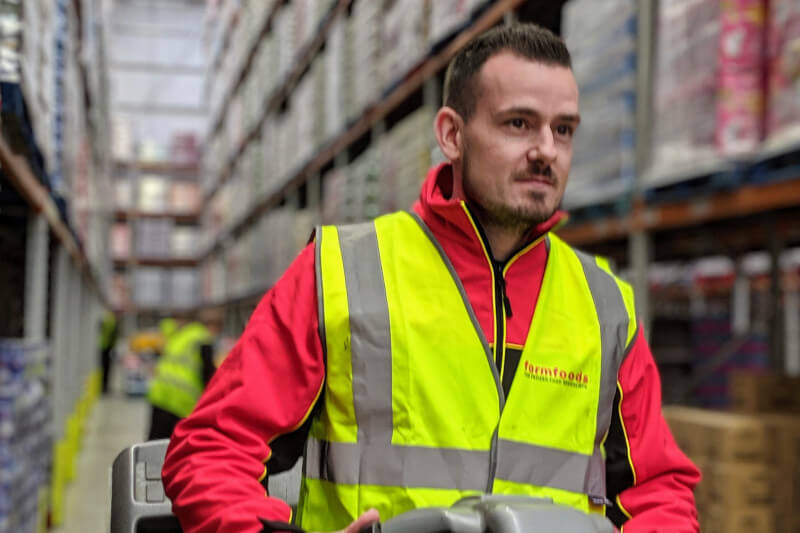 Our Warehouse Operatives receive health and safety training including manual handling as well as being taught how to use our manual handling equipment. You will learn the ropes by being buddied up with an experienced member of our team who will show you how we do things at Farmfoods. 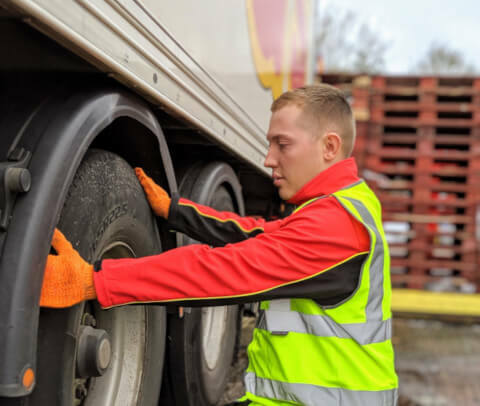 As a driver you’ll also receive health and safety and manual handling training. You will be paired with one of our driver trainers for 2 days and experience what it is like to make a delivery and learn our processes and procedures. Following that they will be there to support you when necessary. Of course, you are more than welcome to apply again. I don’t have an Category CE licence; will you train me? Unfortunately, we don’t currently have the facilities to take a new driver through the qualification. But we do have in-house trainers who will be there to complete refresher training throughout your time at Farmfoods. Why do the Drivers unload the vehicle? 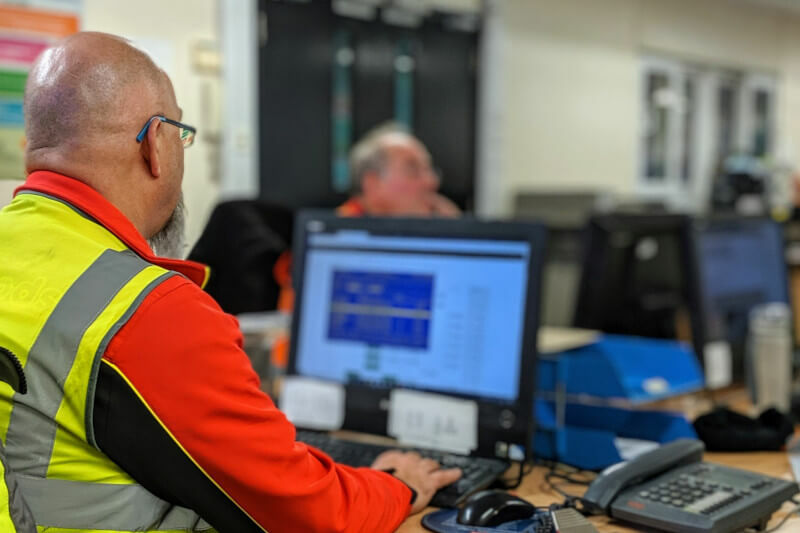 At Farmfoods we operate efficiently, our retail colleagues work hard and so do we. It wouldn’t be fair to pull up to the store and relax while our colleagues work hard around us, everyone must pull their weight and help out.